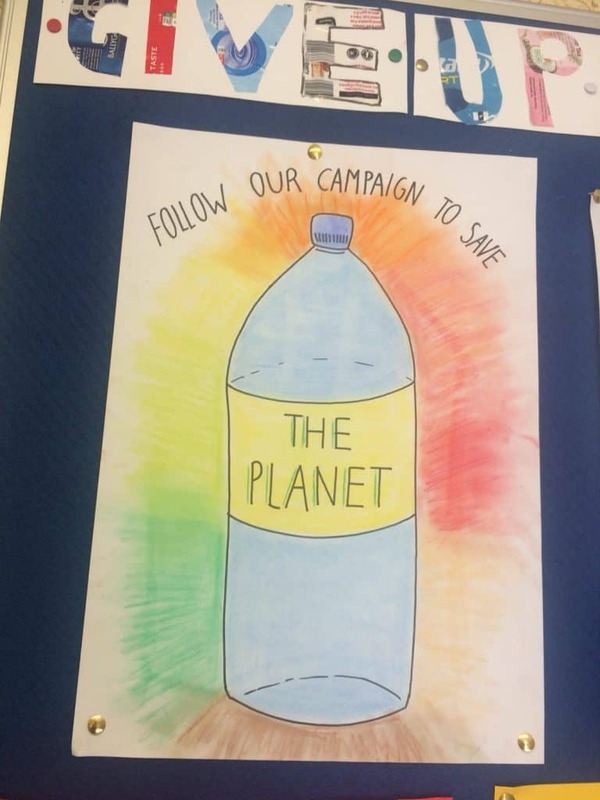 This week we are concluding our school campaign to give up single use plastic bottles for lent. 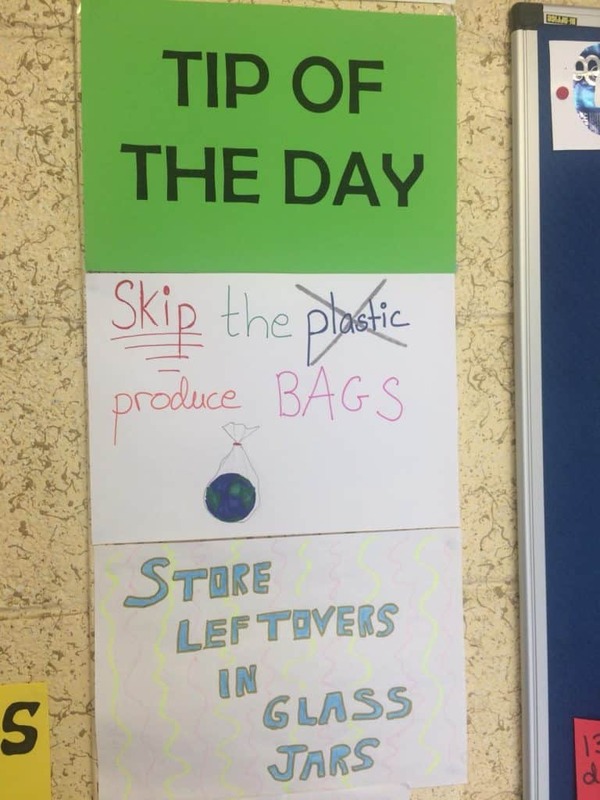 We would like to thank all students, teachers and members of the wider school community that have joined us in our efforts to reduce our consumption of plastic this Lent. 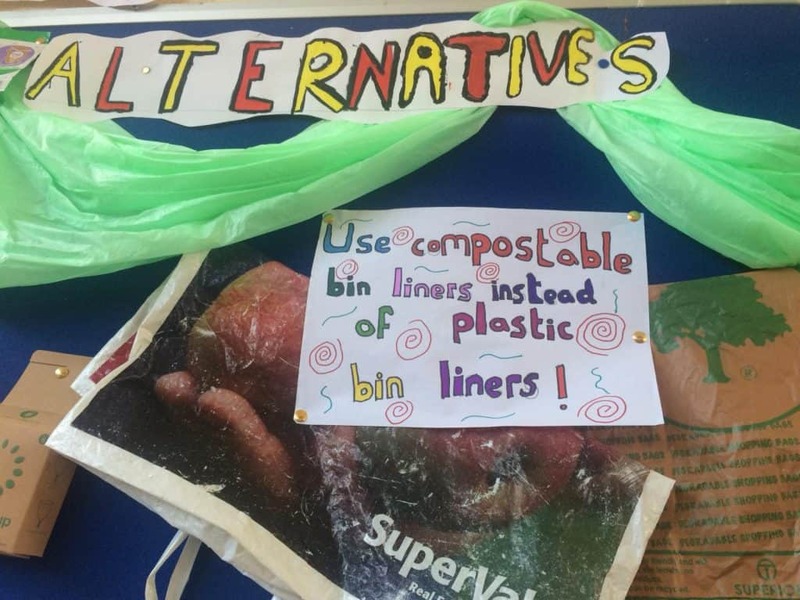 Each week we were busy raising awareness and promoting sustainable alternatives. 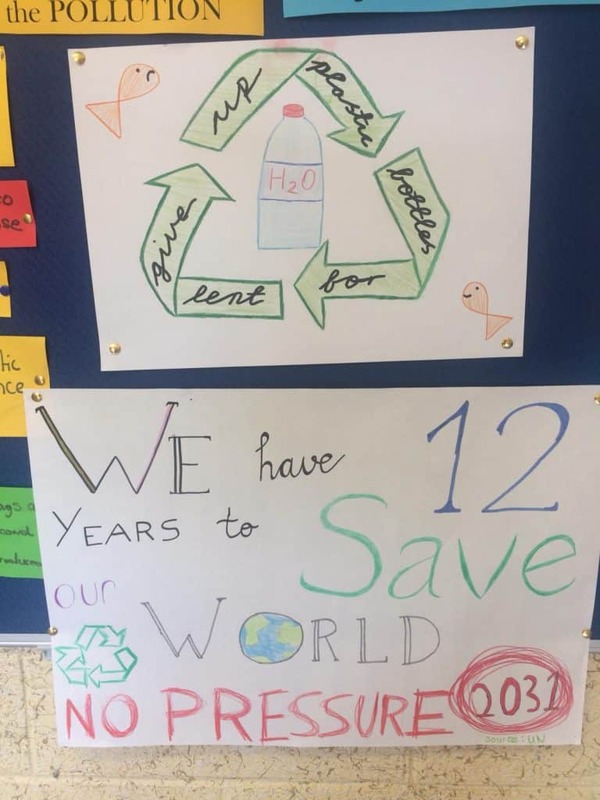 Week 1: We started by making announcements informing the school about our plan, urging everyone to get onboard and join us in ditching plastic for the 40 days. 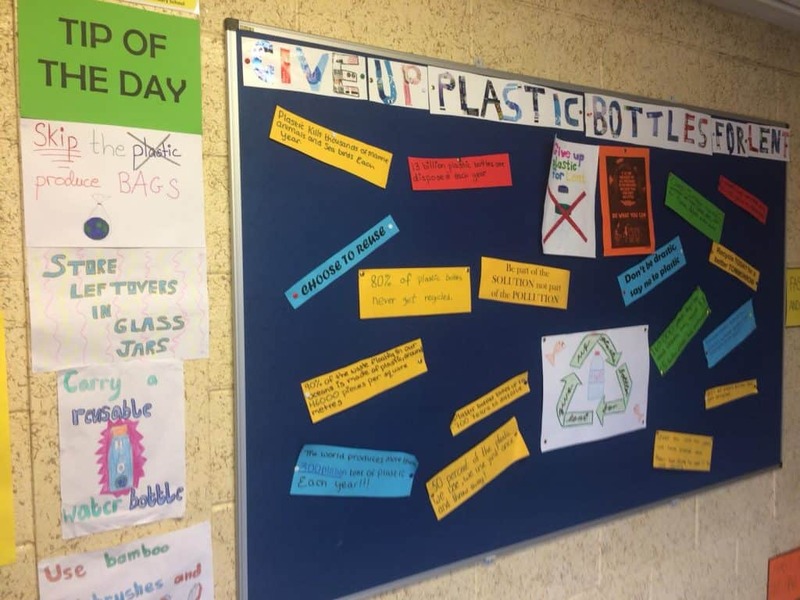 Class 4A were involved in collecting single use plastic bottles which were deposited in the recycling bins around the school. This gave us information on how many single use plastic bottles are being consumed in Preson a daily basis. 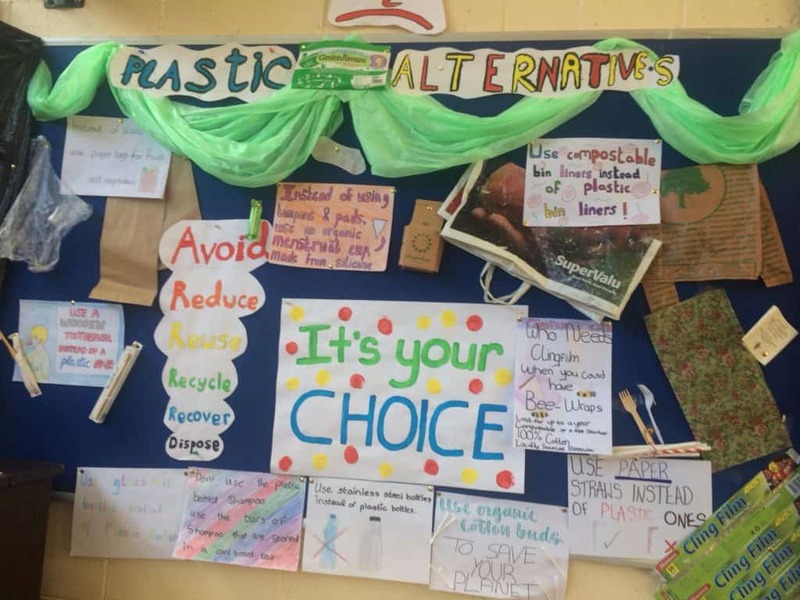 Week 2: The focus for week two was to create a notice board raising awareness about the damage that our excessive dependence on plastics have on animals, our environment and ourselves. A tip of the day gave tangible suggestions on alternative choices that easily fit into our lives. 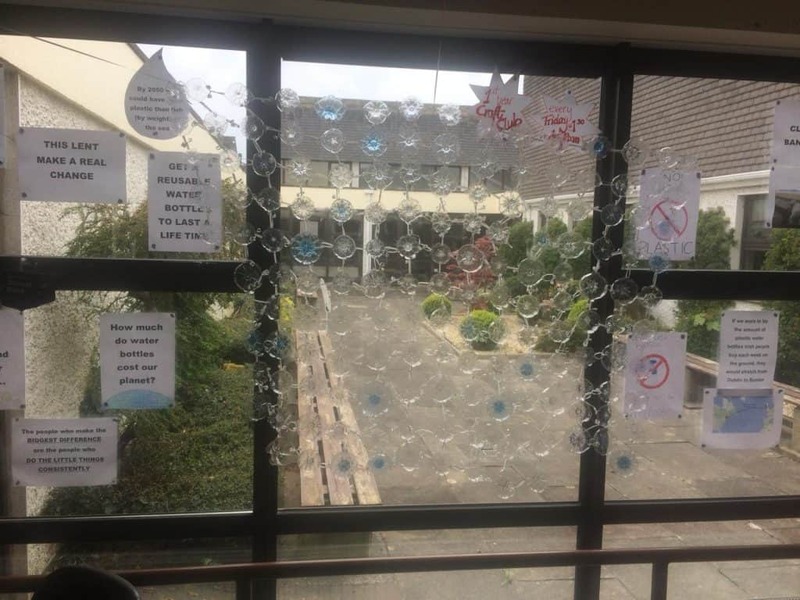 Week 3: Our collect bottles did not go to waste and in week 3 Ms. Cronin and the craft club used them to create a plastic bottle installation in the first year area. 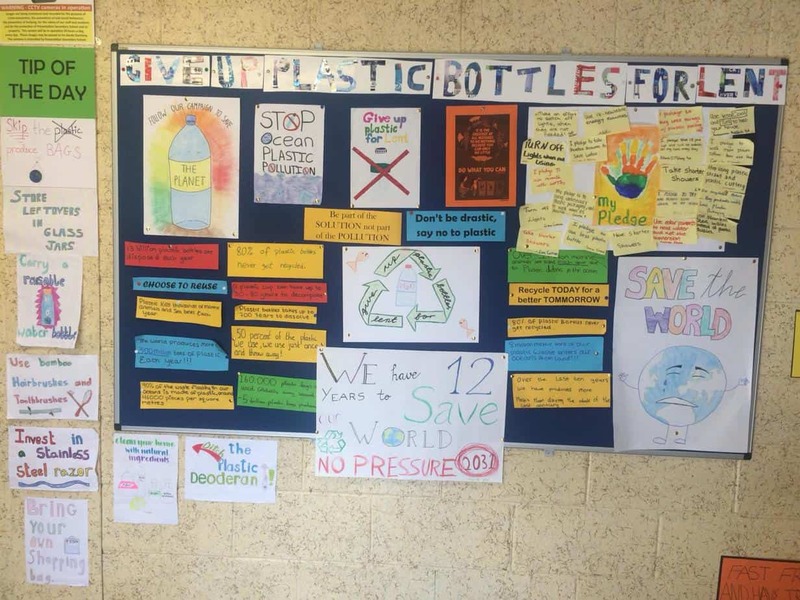 Week 4: We held a competition to guess the number of plastic bottles collected in week one. 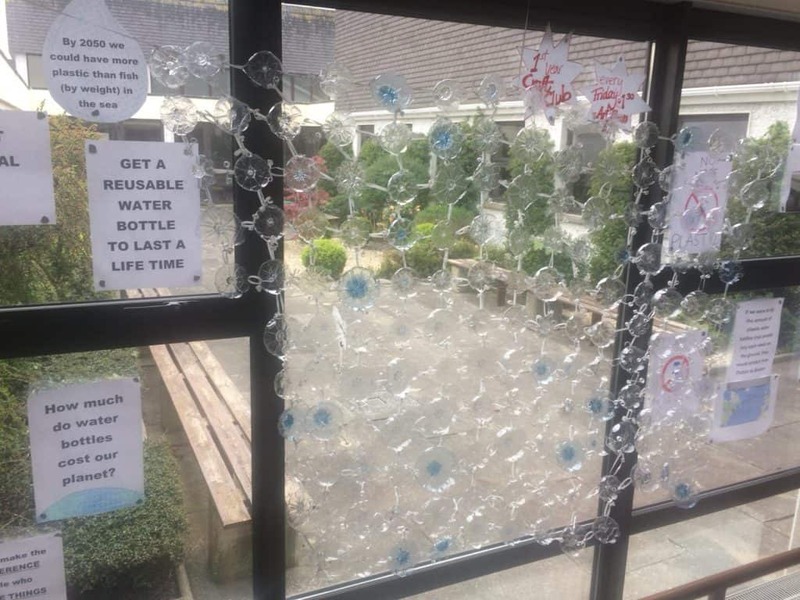 The bottles were displayed outside in 1st year courtyard and we had a great response from the school community. 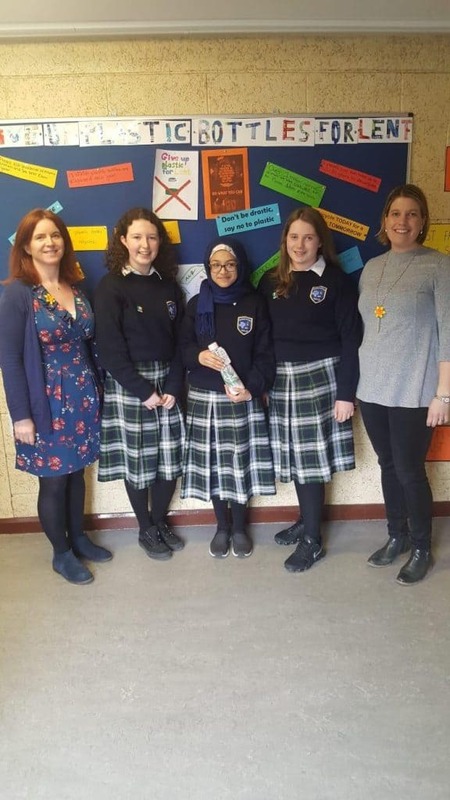 Congratulations to three first year students who won prizes for the closest guesses. Week 5: By week five we wanted to expand and grow our positive message. 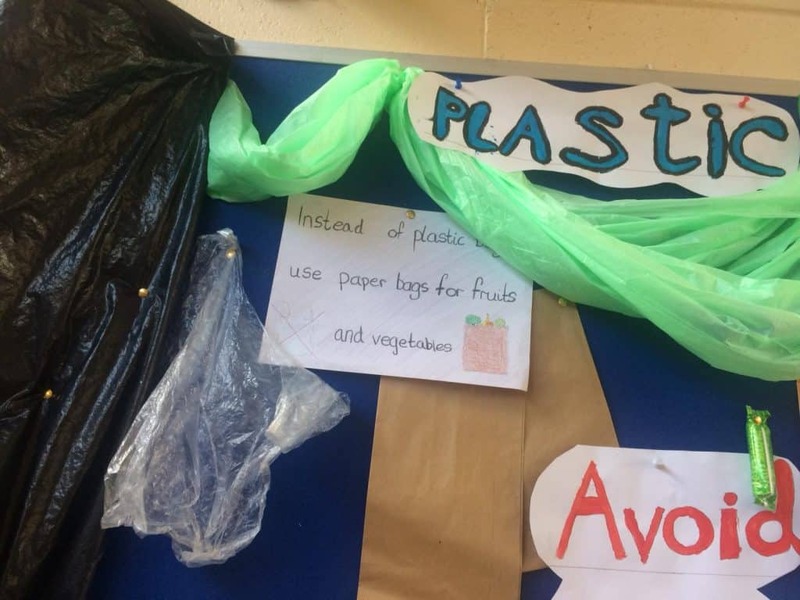 Ms. O’Connor with her 4A class completed a colourful display in the assembly hall which offers suggestions and alternatives to single use plastics that we come across in our every day lives. There are many simple changes possible to reduce plastic use in our daily lives from glass milk bottles, to shampoo bars, compostable bags and bamboo toothbrushes. There really is something for everyone. Week 6 and going forward we hope that the school community continue to support this positive message for change. The future is ours to manage. 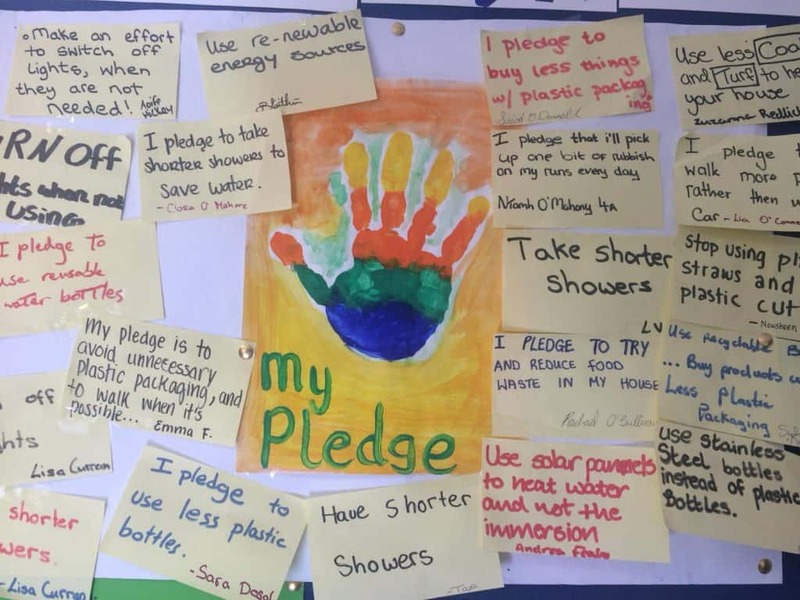 We feel that it is more important that everybody takes small steps to reduce their consumption of plastic products than a few individuals achieving zero plastic consumption. There are alternatives available and we just need to find the right ones to suit us and fit into our lifestyle. 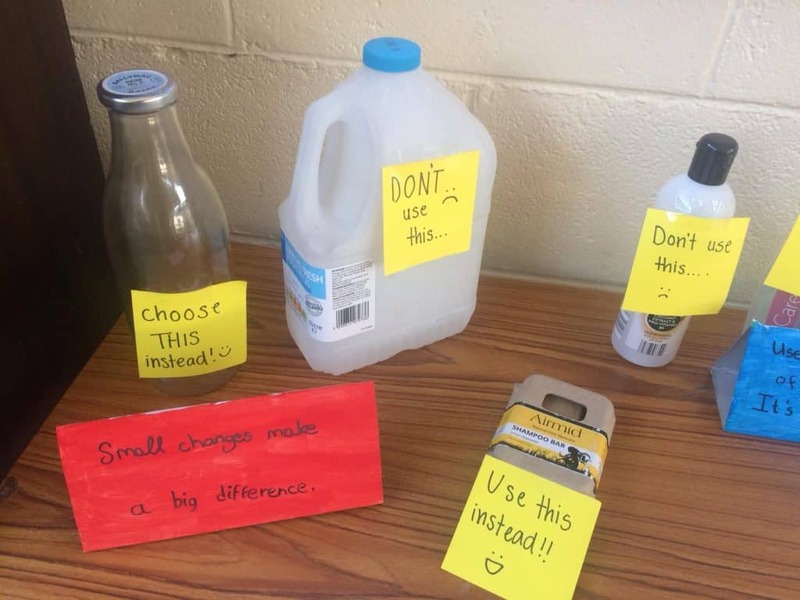 Small changes by many can have a powerful impact.